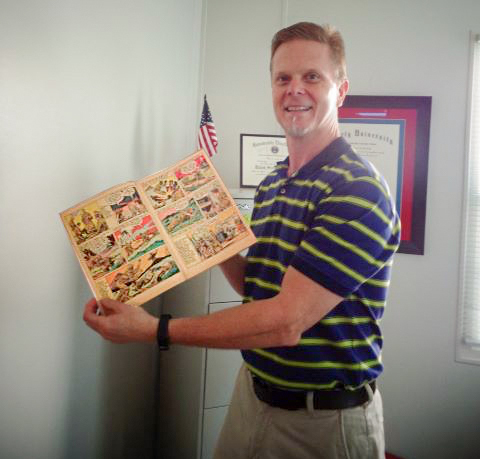 It isn’t everyday that an April 1946 True Comics book about Desmond Doss walks in the door. 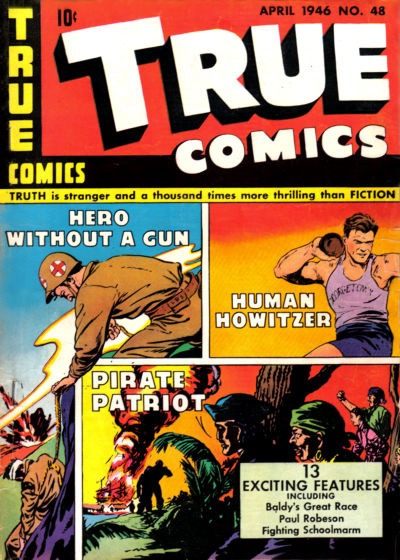 It contains the Desmond Doss True Story comic. 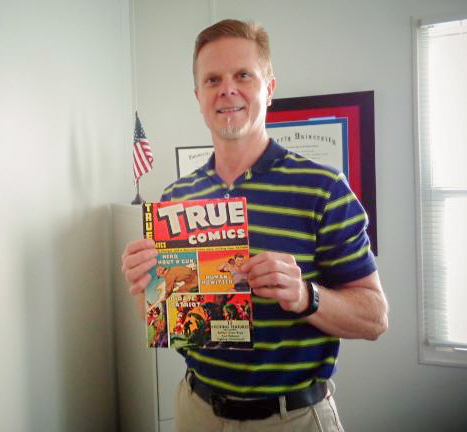 True Comics tells stories through comics that are based on actual people and events. It has a story called, “Hero Without a Gun,” which is a true story about a conscientious objector and Medal of Honor winner named Desmond Doss. Based on what I know about the upcoming movie, Hacksaw Ridge, that also tells Desmond’s story, I now have even more appreciation for what Desmond did during his service in World War II. It is amazing to watch our students look at this book and other things of Desmond’s with such awe! I am proud to be part of a school the represents the same values and faith that allowed Desmond Doss to save numerous fallen soldiers in a battle that would come from people’s nightmares. What a blessing it is for our students to have an intimate knowledge of the person they represent in the Lynchburg community every day.